This tutorial assumes that you have a passing understanding of Silverlight and Microsoft’s .NET technologies. If you do you should have no trouble understanding everything in this code, and chances are you will understand some of it more then I do! Silverlight is a new Web presentation technology that is created to run on a variety of platforms. It enables the creation of rich, visually stunning and interactive experiences that can run everywhere: within browsers and on multiple devices and desktop operating systems (such as the Apple Macintosh). In consistency with WPF (Windows Presentation Foundation), the presentation technology in Microsoft .NET Framework 3.0 (the Windows programming infrastructure), XAML (eXtensible Application Markup Language) is the foundation of the Silverlight presentation capability. This white paper will step you through the basics of Silverlight and how you can use the Microsoft stack of tools, including Microsoft Expression Blend, Microsoft Visual Studio 2005, and XAML to build rich graphical sites. First, let’s take a primer on the background leading up to Silverlight and where it stands on the development landscape. What we are going to do is create a simple game with falling targets that they user has to click on in order to Ã¢Â€ÂœhitÃ¢Â€Â them. Each time they hit a target they will get a point and another target will be created. After putting off this tutorial for as long as I possibly could (I’m not sure why) I have finally decided to buckle down and learn how to use WxWidgets using the WxPython Python bindings. 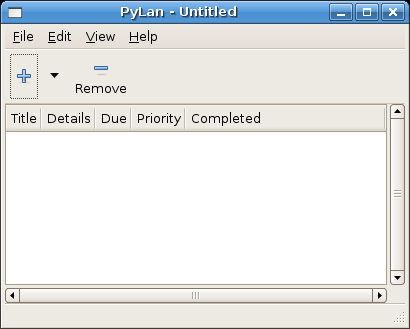 Getting WxWidgets and WxPython installed on my Debian Linux computer was as simple as installing the python-wxgtk2.6 Debian package. If you have any problems installing wxPython on your computer I suggest that you follow the instructions in the wxPython FAQ. Or you can follow the Getting Started instructions on the wxPython wiki. Save the file as wxHello.py, or whatever you would like. You can run the file if you want but you won’t actually see anything. The first thing that you will notice is that we import wx, this will import wxPython into your program. Every application must have a wx.App instance, and all creation of UI objects should be delayed until after the wx.App object has been created in order to ensure that the gui platform and wxWidgets have been fully initialized. Normally you would derive from this class and implement an OnInit method that creates a frame and then calls self.SetTopWindow(frame). A frame is a window whose size and position can (usually) be changed by the user. 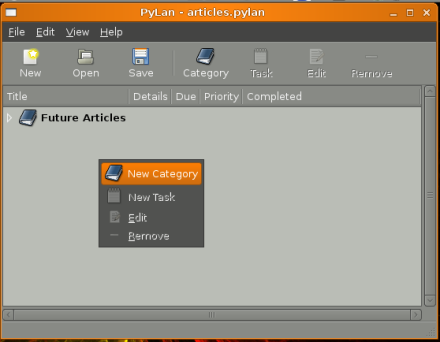 It usually has thick borders and a title bar, and can optionally contain a menu bar, toolbar and status bar. 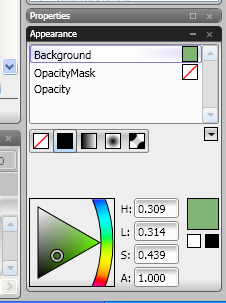 A frame can contain any window that is not a frame or dialog.